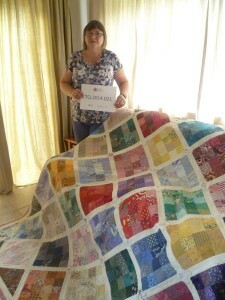 Joy introduces her Millennium Quilt, that was made as a result of her taking part of a ‘quilt swap’ in 1999. Joy explains how participants from around the world swapped fabric, signatures and a bio, and talks about one of the five quilts she made from the fabric and signatures that she received. 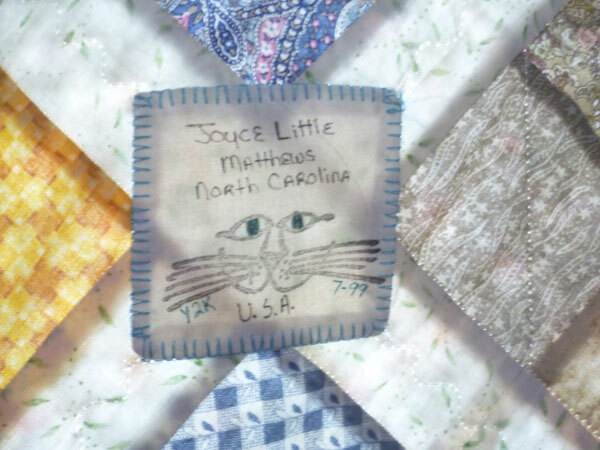 In the second half of her interview, Joy talks about getting involved in quiltmaking after a family holiday to America, and reflects on the impact it has on her life and what she looks for in great quilts. LS: Tell me about your quilt, Joy. JM: I’ve brought along today my Millennium quilt or my Y2K quilt. This is a quilt I made 14 years ago, it was made in 1999 to celebrate the turn of the century. Back then we all had big square computers, a lot of them were in the little bedroom, mine was in the little bedroom. And i was in the little bedroom one night trawling through the internet slowly on dial-up and I came across a site that was doing a Y2K Millennium quilt swap and I hadn’t heard about it, I read all about it and you could either do two and a half inch squares or three inch squares and being a bit impulsive I signed up for it there and then and without thinking too much about it. So I put my details and my email address, well I’m saying I put my email address, I did decide that if I was going to do it I needed my own email address because up until then I’d been using my husband’s and I could see with this swap that once you’d put your email address out there people would contact you, other people who were on the swap list could contact you to swap. So I thought, well I need my own email address if I’m going to be doing this so I was able to choose my email address then so I thought I want something that’s going to identify where I’m from. So that is why I’m joy.wales so that people would know that I was from Wales. So I joined up and very quickly, even the next day, I had a lot of requests to swap. What I didn’t realise was that there were very few people in Wales doing the swap, I think there was one other person on the list at the time and people, I’m saying people, mainly the Americans, they wanted to swap with people from all over the world. Now this swap was, now let me get this right, you had to cut 25 three inch squares of different fabric and you put in with it a signature square with your signature and where you came from, so mine said ‘Joy Morgan from Port Talbot’ and you also had to put in an A4 sized bio, a little piece if information about yourself. So I had to cut 2000 squares to do this swap and make, you had to swap 80 times to get 2000 squares, so I also had to make a little signature which I did by hand to put in the squares as well. The bio was easy because once you did the first one you just photocopied that and put it in, and the Americans, what they were doing was, a lot of them were doing the states, doing one from each state, and then they were going out to the rest of the world, so they wanted one from Scotland, England, Wales, Ireland. Because I was only one of two, I was absolutely inundated, I ended up doing the swap twice because I couldn’t say no to anyone, so I ended up swapping 160 times, well a little bit more than that actually because there were a few at the end and I really couldn’t say no because they were saying well I can’t get another one in Wales so I ended up doing this a lot. So I brought this quilt which is the one I’ve made, for myself, this is the last one I made, I also made one with 1000 squares in for my son, and one for my daughter and then I made small ones for my two sisters and my brother out of what was left. So I was at this for quite some time. 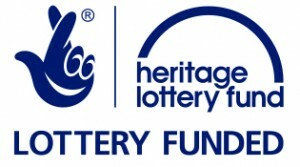 It was lovely because in the post, then,there’d come what we referred to as squishies which were small envelopes with the 25 squares in, the signature and the little bio and they’d arrive, I’d have about two or three a day when it was at its height and I’d open them up, so excited. The first one I did, I’d put the squares together as they came so if I had 25 squares I’d stitch them together that day in one square, five by five,and that was the way I did the first one, but the second one I did differently and this one was the third big one, this one’s mine and I decided to put these into colours, so these are not, because the first one, each signature I stitched on to the squares of fabric that came so that block actually was from that person. This one, I’ve put all the colours together, I’ve put all the pinks together, I’ve put all the blues together, all the reds together and I stitched them four by four, so that’s a 16 patch block. I stitched all those together then I got some sashing and put that in and I stitched the little siggy squares as we called them , signature squares, and there are some beautiful ones. I’m sure we’ll take some photographs after, this one’s from Switzerland, this one’s from North Carolina. I stitched these on using blanket stitch on the sewing machine. When I put the quilt together, I probably, it’s 14 years ago now, I probably used a 80/20 cotton wadding, 80% cotton, 20% polyester. I’ve machine stitched down the sashing and I’ve hand stitched in each block. So there’s a variety of stitching on the quilt. Can we stop a second? LS: This is our second bit of TQ.2014.21 with Joy Morgan. Joy, this is quite a big quilt you’ve just been telling us about, isn’t it? JM: Yes, it actually measures 84 x 84 inches, I don’t do centimeters, I’m still in inches. And it’s what I call a bed topper because I’ve got a king size bed , it covers the bed and just comes over by about 6” each side so it’s just a lovely size on the bed. LS: What do you think about that project, that very interesting project, altogether? JM: Well, I’m really, really glad that I did it because I use that quilt daily, I know my son does and my daughter uses hers daily and it’s a lovely memory of the millennium. But there were times with it when I thought ‘what on earth have I done’ because it was so intense and I wanted to make up the packs as they came, because I felt if I didn’t make them up that day or the next day then this would become a giant UFO. So there was a time when it took over my life for a few months. And some people couldn’t understand why I was doing it and they were worried about the cost, but it didn’t cost a lot at the time, to send those little letters to America. But if you’d added it all up you probably wouldn’t have started. So I’m glad that I just, on an impulse, signed up for it. LS: Thank you. Can you tell us something about your personal history in quiltmaking, now then. When did you first start making quilts? JM: Right. We went on holiday to America and it would have been about 18 years ago now, 17, 18 years ago now with my sister and all of the family stitched,sewed, crotcheted, knit. My sister had taken up this new hobby of quilting and she took some hand stitching with her and in the mornings she would sit there doing her hand stitching after breakfast and I asked her what she was making and she was so enthusiastic about this quiltmaking and she said that all of this is sort of, the Americans are really into this and this is coming back over from America and so we went to all the American shops and she said ‘we’ll do something small’. She said ‘make a cushion’. I said ‘I didn’t want to make a cushion, I want to make a quilt’. So we went to… I can’t think of the big store out there now, went to one of the big stores out there that sold fabric anyway and I bought enough fabric to make a quilt. I came home and I made that quilt on my own with no instructions, no help. I know now I did it all completely wrong, but I’ve still got it. It’s a similar size, 84” square and I still use that quilt to this day and I love it, and I know the colours are all wrong and it’s, you know, very naively made but I still love that as my first quilt. Then I joined groups and went from there. LS: I think everybody’s first quilt has got a special place for them really, hasn’t it? [JM:Yes, yes.] So what do you prefer doing in quilts, what’s your preferred style or technique in quiltmaking? JM: Well I think it moves along, you start off with basic blocks and I certainly get intrigued by different blocks, how you make them and how you out them together. I’m always wanting to do something different, I don’t like making the same thing twice. So I’m usually moving through stages, I went through a stage of loving applique by machine and at the moment now I’ve joined the Contemporary group and I’m using paints and stamps and just exploring different techniques so it’s ever evolving. I’m really enjoying hand stitching at the moment, but I also do a lot of machine. LS: Is there anything you don’t enjoy about quiltmaking? JM: Well, putting the quilt together can be a bit of a challenge and you have to gear yourself up for the day when you’re going to do it but once you’ve put it together and you’ve pinned it really well, then you’re okay. That’s about the worst thing is putting quilts together, big ones. LS: Can you explain for the benefit of the people who don’t know what you mean by putting a quilt together? JM: Right.When you make a quilt there’s three layers, there’s the top which is the piece you’ve usually made by making blocks whether they are fancy blocks or whether they are just used squares stitched together, as they are in the quilt I’ve brought today. So you’ve got the top piece which is the piece you’ve made. Then you’ve got a batting or a wadding which is the middle piece and then you’ll need a backing which is usually one piece of fabric and you lay them down; the base, the wadding and the top and then you have to hold it together either with tacking stitches or pins or a gun and then you quilt it. I was told very early on in quilting that a quilt is not a quilt until it’s quilted. And this is the time when the quilt can really start taking on its own life because once you start quilting it changes and you might change your mind over which way you’re going to quilt it. A quilt actually comes to life when you quilt it, I think. LS: Where and when do you quilt? JM: Well I quilt almost daily. I’m always stitching. I’m lucky enough to have a whole room so that I can leave things half done, I don’t have to pack away which is lovely. I belong to a few local groups and I actually run a group as well so I’m really active. [Whispering]. LS: So you have a room and then you quilt on a daily basis. LS: What do you look for in other quilts? 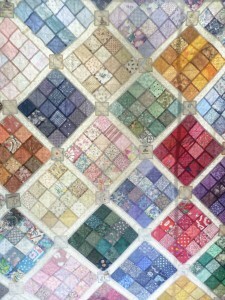 When you go to exhibitions or shows or see a friend’s quilts, what impresses you about somebody esle’s quilt? JM: That’s a good question. [LS: Is it the quilting or the piecing] The quilting for me is the star of the show. I’m more into the quilting than the piecing.I like wholecloth quilts which for those of you who don’t know is a piece of plain fabric and it’s just the stitching and the patterns that the stitching that make the quilt. It’s the quilting that really draws me. LS: Where do you get your ideas and inspiration from? JM: I’m forever buying books, reading books, looking online, on Youtube, you just see something and you sort of go from that idea,you might only use the colour or the shape. You’re just picking up ideas everywhere and when you go into groups that you belong to, other people bring in their work and that’ll give you inspiration, so there’s inspiration everywhere. 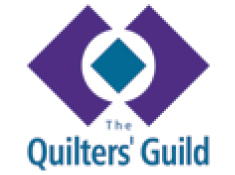 LS: Why is quiltmaking important in your life? I think you’ve answered this already in all sorts of ways but I’m sure you could say something else! JM: It’s not just a hobby, it’s a passion. It’s something that I live and breathe daily and I can’t imagine my life without patchwork and quilting in it. LS: Thank you very much, Joy.